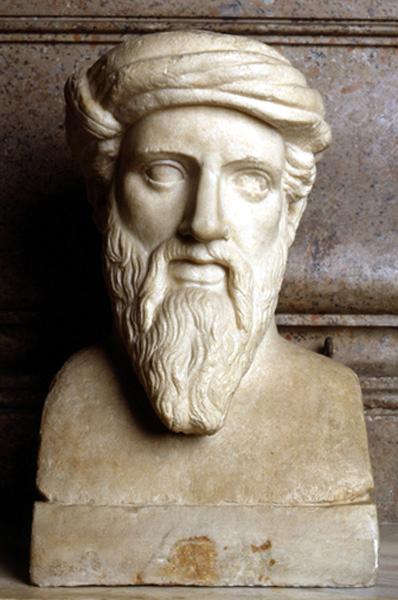 Herm depicting “Pythagoras”. From a Greek original of the middle of the 5th c. BC. Musei Capitolini. The international conference “Ex Ionia Scientia ‒ ‘Knowledge’ in Archaic Greece” will be held in Greece on 12-14 December 2016. The origins of western science and philosophy are customarily traced to 6th century B.C.E. Ionia, to Thales of Miletos and the school he founded, whose famous pupils included not only the Milesians Anaximander and Anaximenes, but also Pythagoras of Samos, Bias of Priene, Xenophanes of Kolophon, and Herakleitos of Ephesos among others. Our conference seeks to identify the defining marks of this new scientific and philosophical tradition, to compare and contrast them, and in light of them to explore what kinds of knowledge formed the background against which these new origins represent a meaningful departure. What counted as ‘knowledge’, ‘wisdom’, ‘truth’ and ‘fallacy’ in Archaic Greece? This background includes ‒ but is not limited to ‒ ‘knowledge’ in crafts, politics, architecture and building, military, agriculture, and of course, religion. The conference and the anticipated volume of essays the organizers hope to publish proposes to address the preconditions of this historical phenomenon, as well as its development until the Early Classical era, the beginning 5th century B.C.E. Why did it take place in Ionia, and not in Sparta, or Corinth, or Athens? What role(s) did the oriental cultures play in developing disciplines like cosmology, astronomy, geometry, cartography? How did the Ionians develop their methods of scientific thought? And how did they teach, preserve and disseminate their new knowledge? Accordingly, proposals are invited [Abstracts 250 words, maximum] for presentation at the conference in Athens, Greece, scheduled for 12-14 December 2016, hosted by the National and Kapodistrian University of Athens (Faculty of Philosophy, Pedagogy and Psychology), and sponsored by the National and Kapodistrian University of Athens (Faculty of Philosophy, Pedagogy and Psychology), the Center for Hellenic Studies (Washington D.C.), and Southern Illinois University Carbondale. The deadline for submissions is 1 March 2016, and notifications of acceptance are to be announced 1 May 2016.